Roethlisberger’s Progression Proven Daily | "IT'S A STEELERS WORLD"! Although there has been maybe one or two people that have doubted his return to the football field on October 25th, more proof that he his came today that he more than likely will be. ESPN’s Pittsburgh Steelers beat writer, Jeremy Fowler reports that “Big” Ben Roethlisberger jogged off the practice field today guard Ramon Foster confirmed, another sign that the quarterback is progressing well from a sprained left MCL and a bone bruise. Early reports called for a late-October or early-November return to action. Roethlisberger hasn’t had any setbacks since his knee injury just over a week and a half ago against the St. Louis Rams. And quarterback Michael Vick has been quoted in saying it was “absolutely” good to see Roethlisberger tossing the ball around at practice. Although I understand the concern of returning too early, Roethlisberger I am sure knows the consequences of rushing rehabilitation more than anybody. Doing so back in 2011 against the San Francisco 49ers in a Monday Night Football game, something that was deemed uncalled for by many of fans..including myself. Roethlisberger said this week on Pittsburgh 93.7 The Fan that team doctors are “pleased” with his rehab but he’s not setting a timetable for return. It’s truly week to week, he said. That is exactly what a player who has been through it is supposed to do. If you set a timetable for yourself..you are hard pressed to meet that deadline no matter the cost. 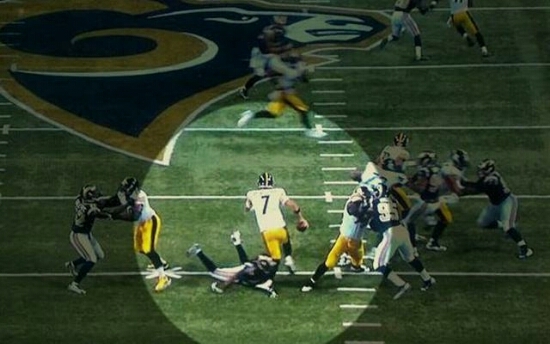 However, Roethlisberger’s injury was not as severe to warrant any major concerns.